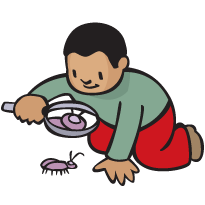 Discover what insects, spiders, worms and more inhabit the neighborhood around your afterschool center! No matter where you are, a surprising array of living things occupies the same space. In the city, in the country, in the suburbs—many species of insect, arachnid, worm and other organisms can be found if you take the time to look. Giving children the opportunity to do an inventory of these creatures not only familiarizes them with living things and classification, but instills in them a sense of place and an understanding of and an appreciation for their home environment. 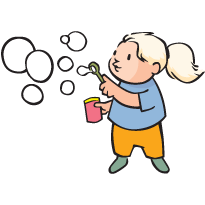 Are bubbles always round? Does a bubble look the same in the air as it does on the table, or in a soda bottle—or in a cube? Experiment with these materials and find out! Have you ever seen a marble fly? Children get too few chances to experiment with materials and to design and build objects of their own creation. These Raceways and Roller Coasters activities allow your students these opportunities, and engage them on many different levels as well. 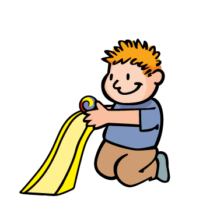 Building these tracks and rolling marbles down them help children to develop problem-solving and teamwork skills and touch upon some basic principles of physics like energy, acceleration and momentum. 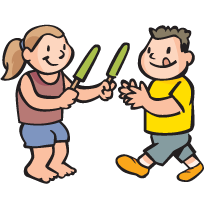 Time to make popsicle history? Cooking activities are great for teaching kids how to use measurement tools, giving them a chance to apply math skills like counting, adding, multiplying, etc. In addition, when you give them a chance to design their own recipe, kids have to rely on estimation, problem solving and other science, math and engineering skills. And this activity gives you a chance to talk to them about making healthy choices in what they eat. Practice observation, measurement and other skills while you learn about freezing rates of different liquids! Cooking activities are great for teaching kids how to use measurement tools, giving them a chance to apply math skills like counting, adding, multiplying, etc. In addition, when you give them a chance to design their own recipe, kids have to rely on estimation, problem solving and other science, math and engineering skills. Can you master this traditional Native American game? 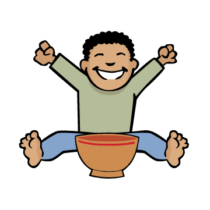 This activity introduces students to The Bowl Game, or “hubbub”, a traditional game played by the Wampanoag and other Native people all across America. 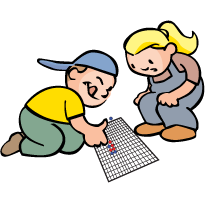 In the Northeast United States, the game is sometimes called hubbub because early European settlers who witnessed it being played reported hearing players say “hub, hub, hub” over and over to distract and intimidate the other team. Try all of the winter thanksgiving activities, and you and your students can share in Wampanoag traditions and give thanks to the animals! Can you solve these timeless Chinese puzzles? Tangrams have existed for hundreds, maybe even thousands of years. They have remained popular for so long because they are simple to engage in, yet they can truly challenge the mind. 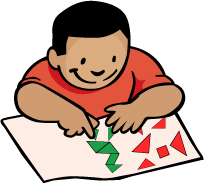 By experimenting with tangrams, children will learn about a game from another culture while they investigate geometric concepts, properties and relationships. Tangrams also help children to develop visual thinking, spacial sense and problem solving skills. 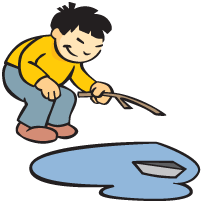 Can you master this traditional Japanese game? Cultural understanding is easier for children when it is grounded in commonalities. 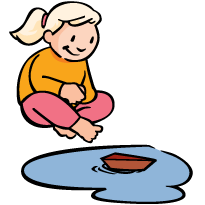 By learning and playing games that children in different cultures also play, kids can come to discover that people from different parts of the world are not as different as they might seem. And while they are discovering this, they will also be developing math skills like visualization, pattern recognition, logical deduction and counting.